Today's card reminds me of a Very Merry Old Fashioned Traditional Christmas Card. It is my comfort Christmas card. I used new items you can find in the 2018 Holiday Catalog. The supplies are listed below. (Please contact me if you need a catalog) To create the ornament, I cut a circle out of gold glimmer paper and added the top bit by punching the little square from the bulb builder bunch. Doesn't today's card give you a bit of a nostalgic feeling? ENJOY! 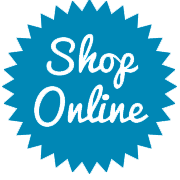 Click on on pic below to shop for Stampin' Up products at my on-line store. Thank you!